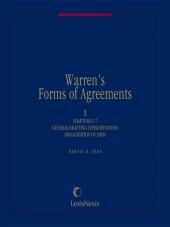 A single-volume publication that contains the most frequently needed business contracts and related forms. 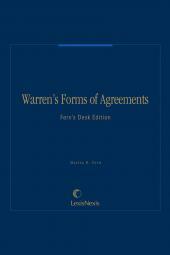 Warren's Forms of Agreements: Desk Edition is comprehensively updated once annually and covers the following subjects: business entity formation and governance, including those for corporations, partnerships and LLCs; purchases and sales of businesses, including purchase of assets and stock; real property transactions, including sales, leases and property management; personal property transactions; and intellectual property transactions. 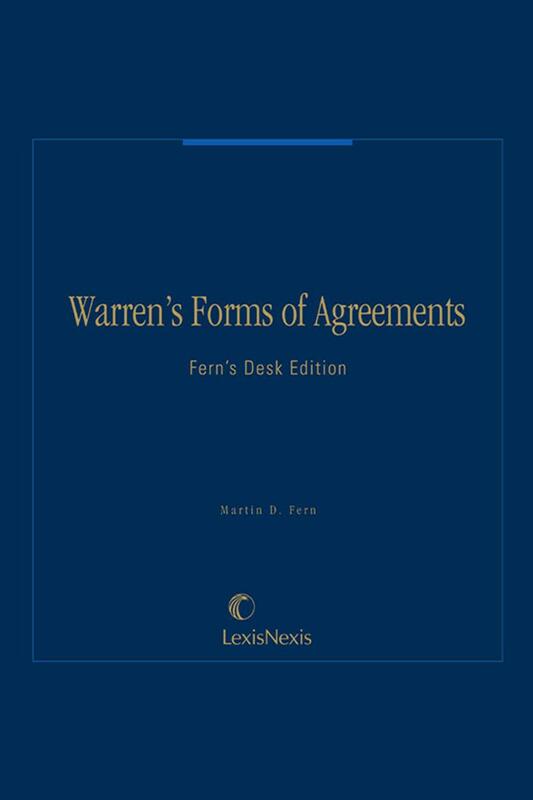 This publication is a condensed version of the eight-volume Warren's Forms of Agreements, and as such, is a convenient, single-volume forms book which can be used for assistance in drafting business contracts on a day-to-day basis. This compact volume provides easy access and quick reference while also allowing attorneys to draft their own customized forms using the large variety of specialized clauses in each section.